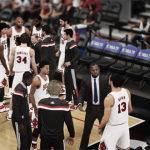 We certainly love our basketball games here at the NLSC, so when it comes to modes like Dynasty, Association, and MyCAREER, some of us like to share the experience with our fellow gamers. 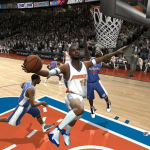 In the Basketball Video Game Stories section of the NLSC Forum, several gamers maintain story threads chronicling their adventures and achievements in the virtual NBA. Over the next few weeks, we’ll be running a series of interviews with some of our most prominent storytellers, to get an insight into their experiences and discover why they enjoy maintaining story threads. We’re tipping off a new year of Story Thread Interviews as we chat to Ezio Auditore, formerly known as Thierry. Ezio/Thierry has created a fair few story threads over the years – infamously so! – and definitely has some interesting things to say about his experiences. Read on for some insight and advice! This time, I’m talking to myself…well, not really, but as someone who’s maintained a few story threads over the years, I thought that I’d offer my own answers to the questions that I’ve been posing to other story thread enthusiasts. I hope that you enjoy the insight into my experiences creating story threads for some of my favourite basketball video games! It’s been a few months since our last feature, but we’re back today with a new interview. 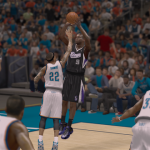 This time we’re chatting to Vespasian92, who has been around the Forum for a couple of years and is currently maintaining an NBA 2K15 story thread featuring his favourite team, the Sacramento Kings. In this sixth installment of our series of Story Thread Interviews, we’re talking to Sit, a longtime NLSC Forum member who has multiple threads inducted in both the Dynasty and Association Hall of Fame. Check out what he has to say about his experiences playing the games and maintaining his story threads, his advice for anyone looking to start a thread of their own, and some of the other storytellers that he enjoys following. NLSC Forum Story Thread Interviews: Martti. We missed posting an interview last week as things got a little busy with file additions and other news items, but we’re back in the swing of things this week, as we chat to Martti.. In addition to running the annual Story Thread of the Year Award in recent years, Martti. 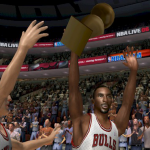 has maintained some excellent story threads of his own, with inductions into the Dynasty Hall of Fame. Read on to learn more about his Dynasty and Association experiences, as well as pick up some tips for creating an award winning thread. In this fourth installment of our series of Story Thread Interviews, we’re talking to The X, a longtime participant in the Stories section of the NLSC Forum with threads enshrined in both the Dynasty and Association Hall of Fame. Read on to get an insight into his experiences, some of his favourite moments, and his advice for anyone who wants to start a story thread of their own. NLSC Forum Story Thread Interviews: Axel. 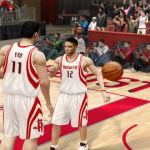 In this week’s interview we chat to Axel., whose Houston Rockets Dynasty thread for NBA Live 10 featured some interesting subplots and ultimately garnered an induction into the NBA Live wing of our Story Thread Hall of Fame. Find out who inspired Axel. to begin maintaining a story thread, what he’s enjoyed most about the experience, and his advice for anyone looking to start a story thread of their own. 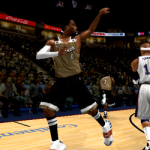 This week we’re talking to Lamrock, who has maintained several story threads for Dynasty Mode in NBA Live and Association mode in NBA 2K. 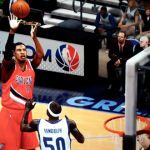 Lamrock’s threads, which have featured a variety of teams in addition to his beloved Portland Trail Blazers, are well-known to other story thread enthusiasts for their in-depth coverage and professional articles, as well as blending in some humour. Our first interviewee is Kenny, formerly known as badreligionau. 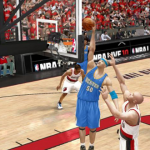 Kenny is perhaps best known in the Stories section for his NBA Live 10 Dynasty with the Denver Nuggets, The Next Level, which is one of the longest Dynasty games we’ve ever seen. 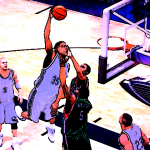 More recently, he’s been sharing his journey through an NBA 2K13 Association with the Cleveland Cavaliers, now in its third season.